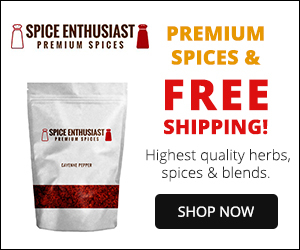 This Muslim Girl Bakes: Sunday Cravings: Tandoori Chicken! Sometimes only tandoori chicken will do. Yesterday, my Mother told me about a method of making tandoori chicken that she hadn't tried in years. Apparantly, the chicken was deep-fried before being marinaded and then baked in the oven. I had to try it immediately. Two chicken breasts on the bone were slit and marinaded in 4 tablespoons vinegar, 1 cup water and 1 teaspoon salt for an hour or two. Then, the excess marinade was removed and the chicken was deep-fried in hot oil for about five minutes - just enough to seal the outside and get it lovely and golden brown. Next, a yoghurt marinade was stirred up with 4 tablespoons yoghurt, 1 teaspoon tandoori masala, 1 teaspoon salt, 1 teaspoon paprika, 1/2 teaspoon crushed red chilli, 1/4 teaspoon red food colour, 2 teaspoons cumin seeds, 1 teaspoon ground coriander, 1/2 teaspoon garam masala, 2 tablespoons lemon juice and 2 tablespoons vinegar. The chicken was allowed to cool for around ten minutes before being coated in the spicy yoghurt marinade. A few hours marinading and then it was into a hot oven at 220 C for 30-40 minutes until cooked through. Tandoori chicken craving satisfied! 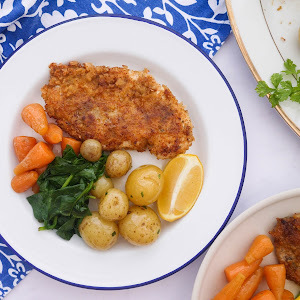 We ate ours at Iftar with mashed potatoes and roasted veggies. Everything was finished with the sweetest mangoes for dessert. 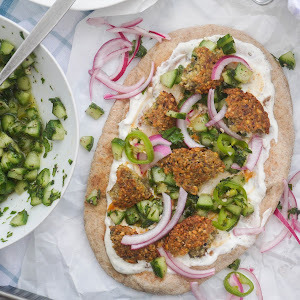 Summer Iftar done right! Video! See a quick video of the tandoori chicken here! 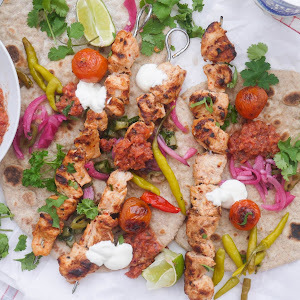 extra-spicy tandoori chicken Indo-Mexican fusion - get the full recipe here! chicken tandoori popcorn - get the full recipe here! 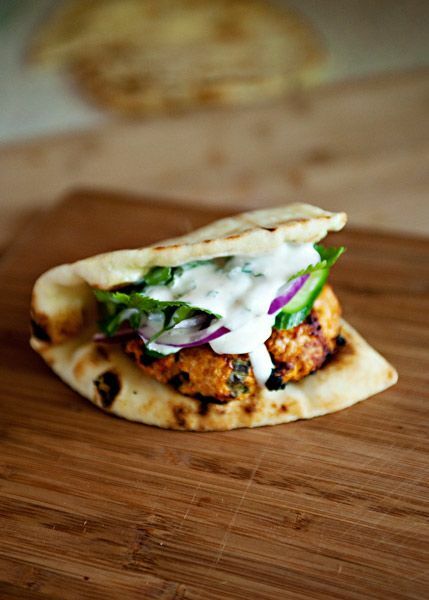 tandoori chicken burgers - get the full recipe here! cheesy chicken tandoori wraps - get the full recipe here! 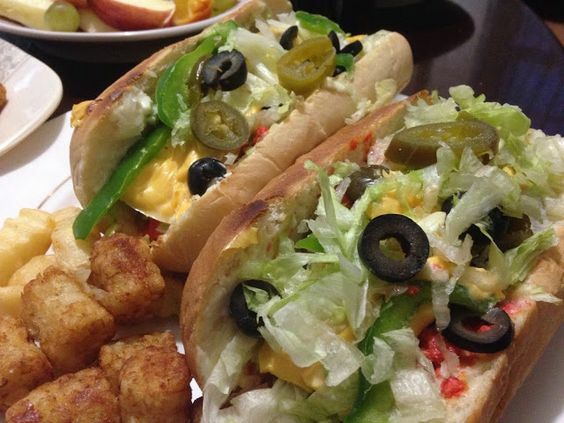 tandoori chicken hoagie's - get the full recipe here! tandoori chicken veg pasta - get the full recipe here! 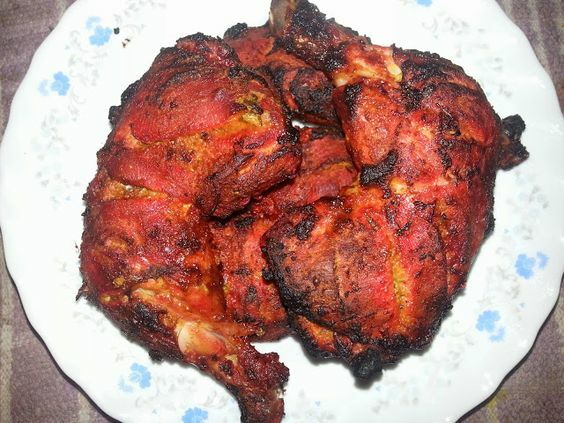 baked tandoori chicken - get the full recipe here! tandoori chicken sandwiches with smashed peri peri avocado - get the full recipe here! 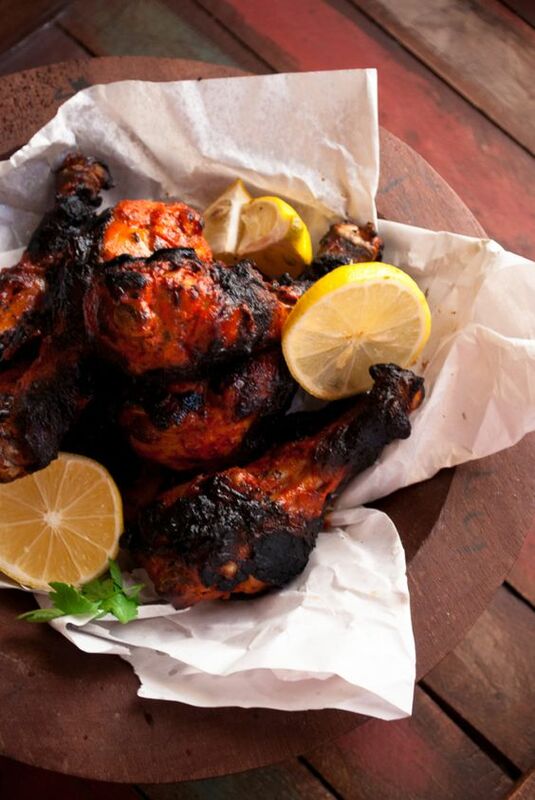 tandoori chicken legs - get the full recipe here! 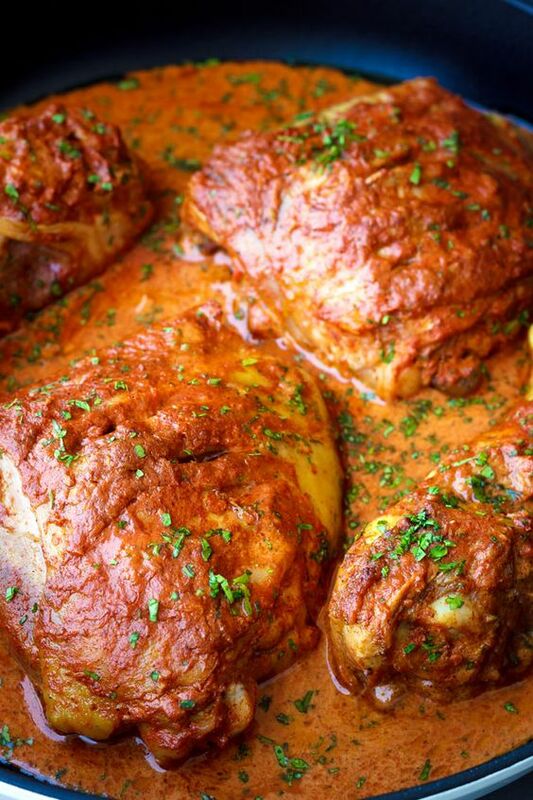 baked tandoori chicken legs - get the full recipe here! 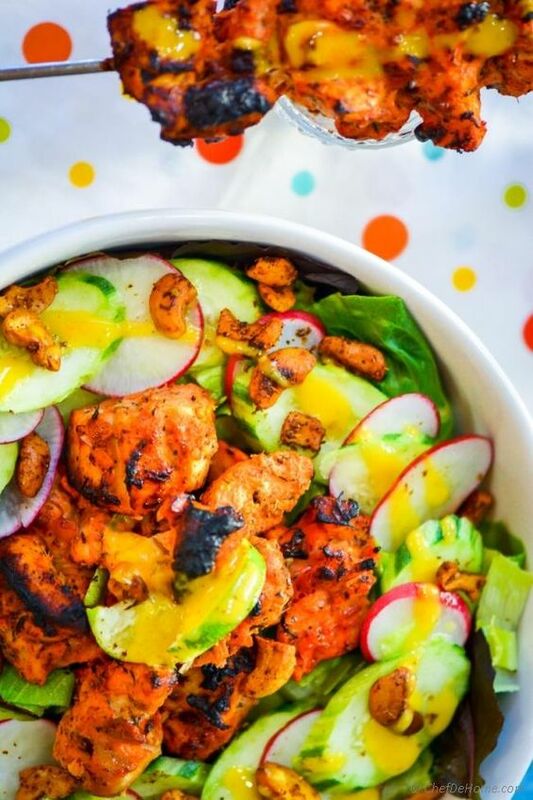 indian tandoori chicken salad - get the full recipe here! 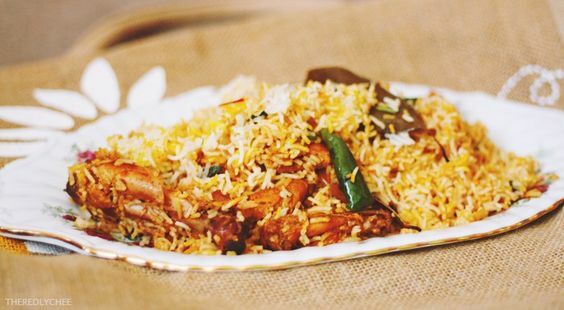 tandoori chicken biryani - get the full recipe here! Assalaamualaykum. It was divine. Jazakallah. I was worried there was no ginger garlic but this baby didn't need it.